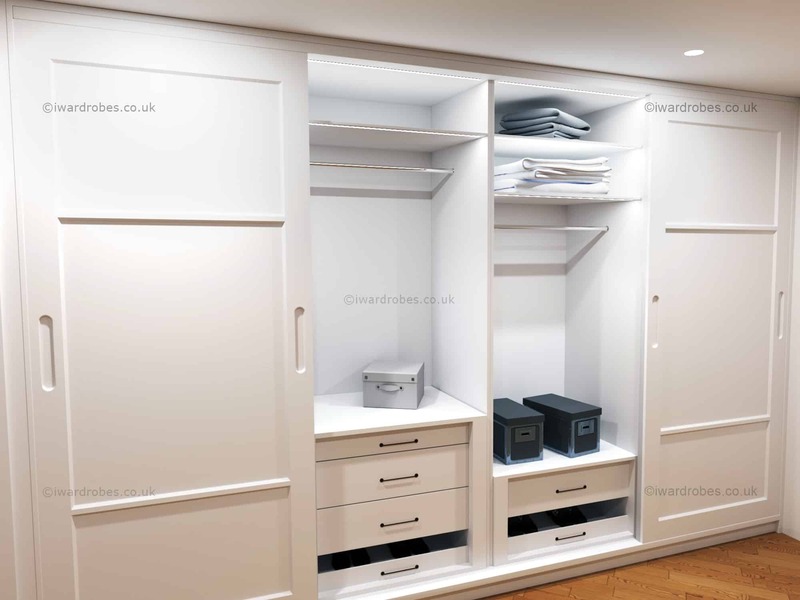 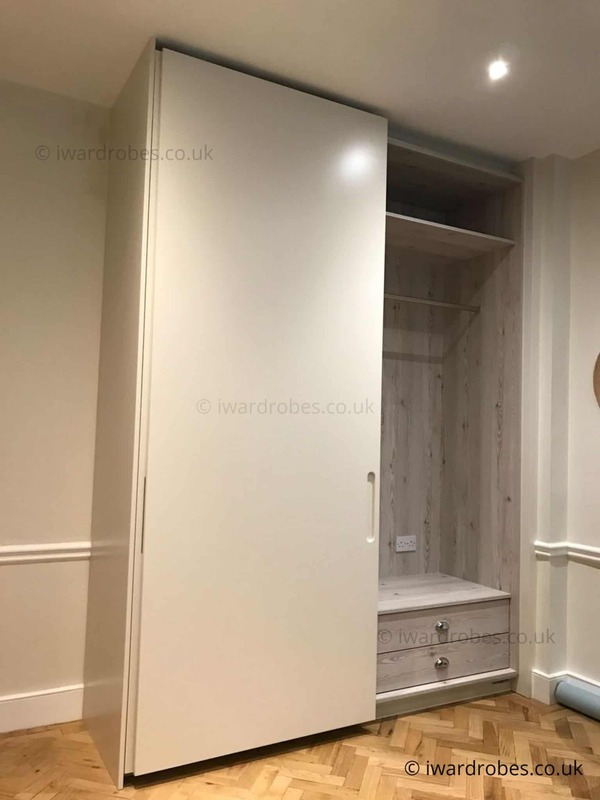 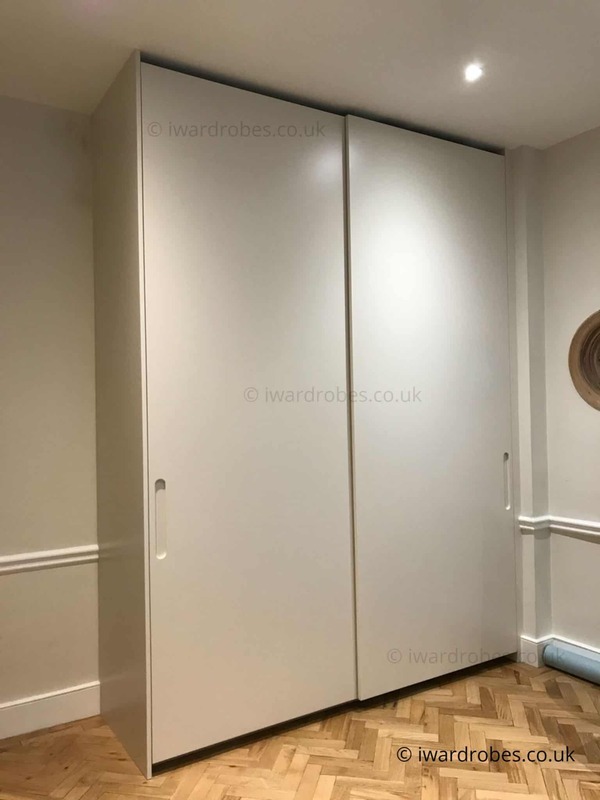 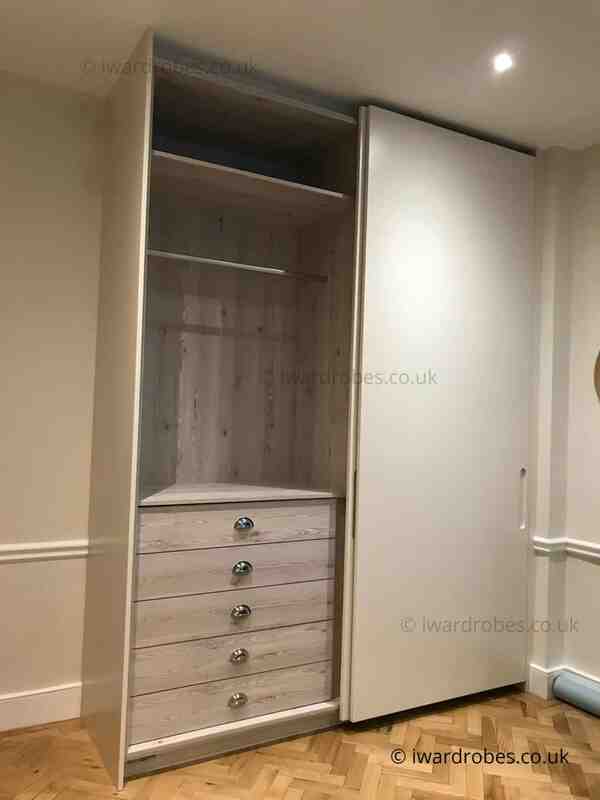 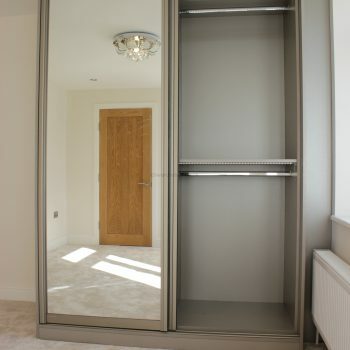 Bespoke modern and painted sliding door closets. 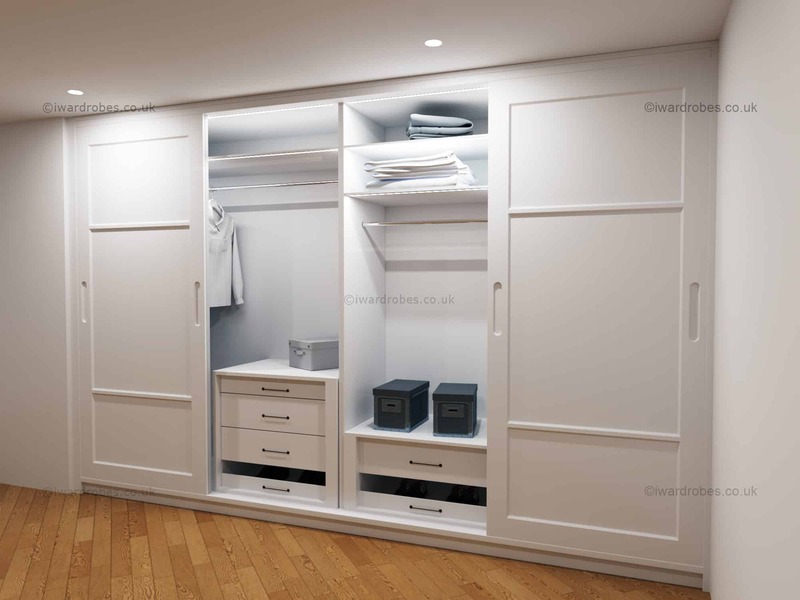 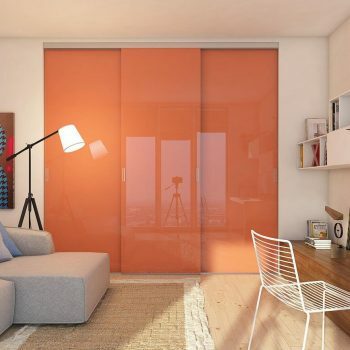 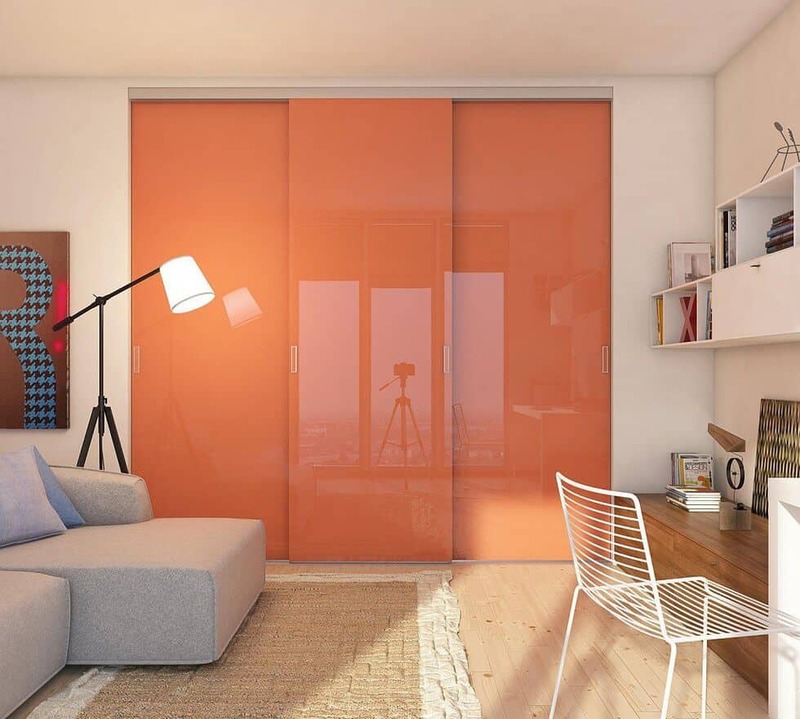 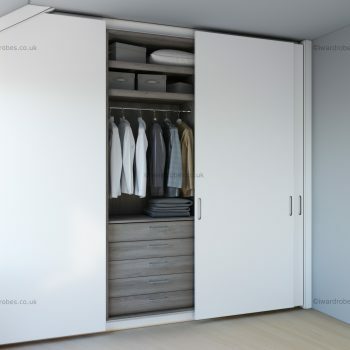 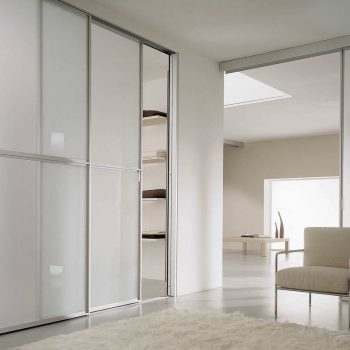 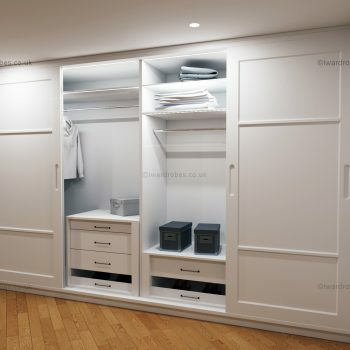 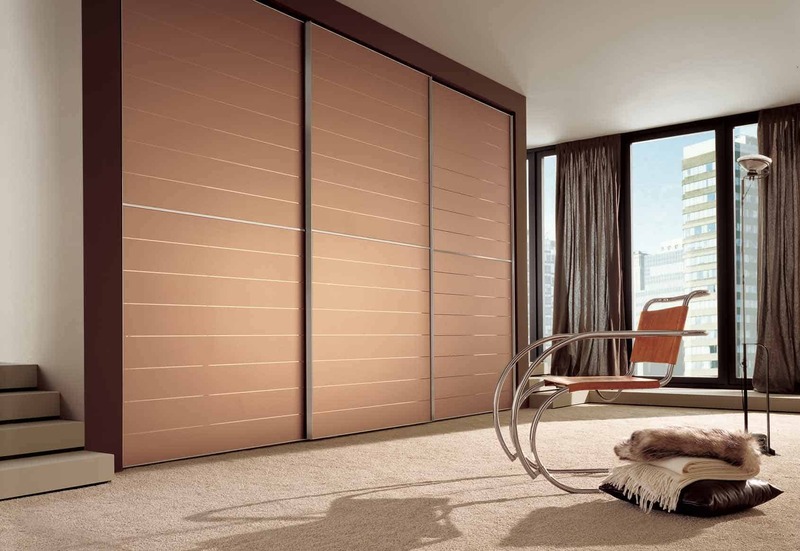 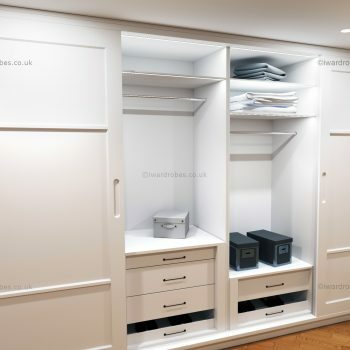 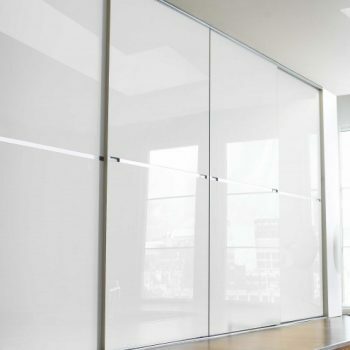 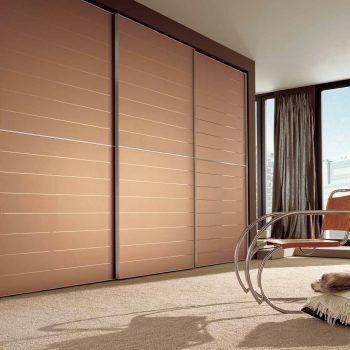 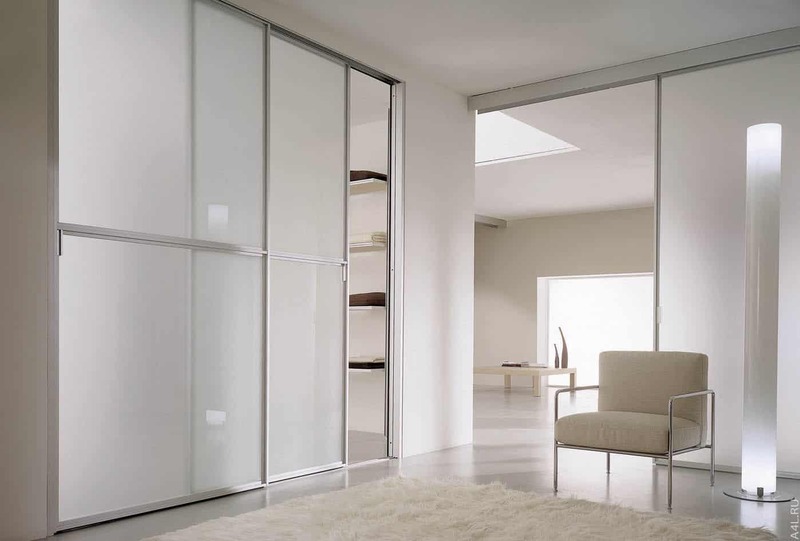 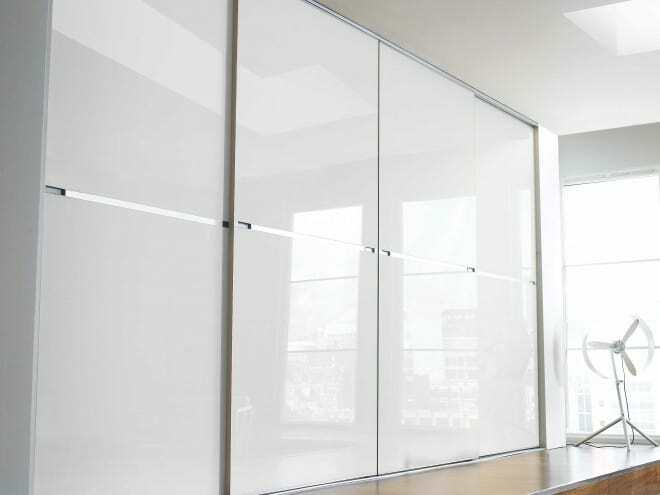 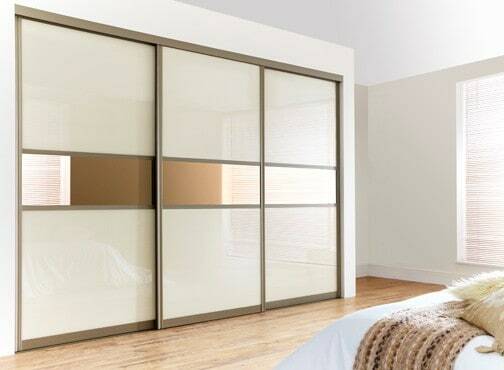 Made-to-measure sliding door wardrobes become more and more popular nowadays. 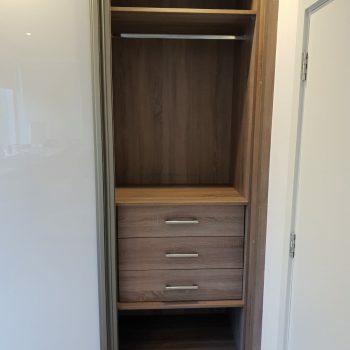 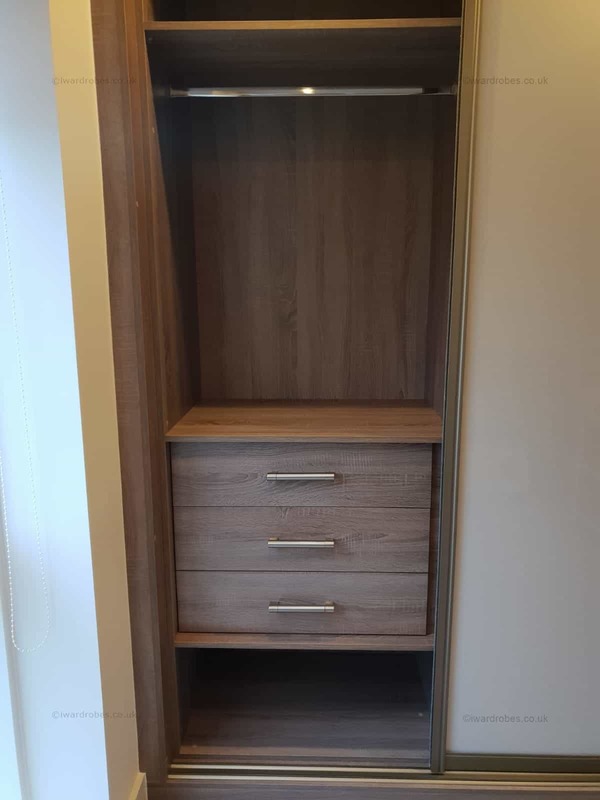 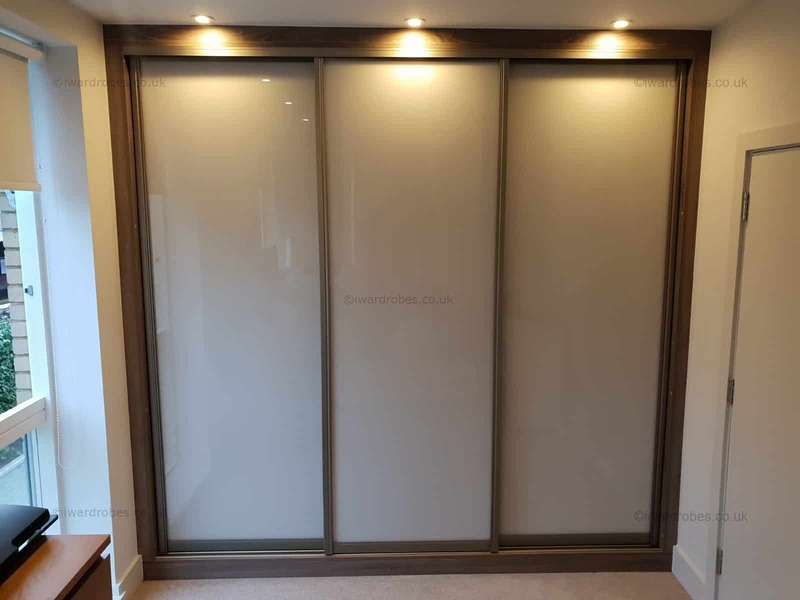 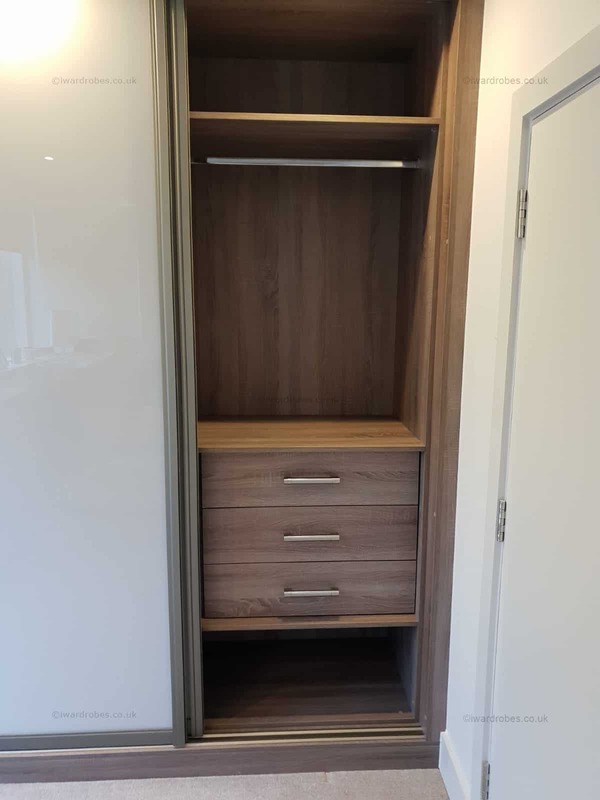 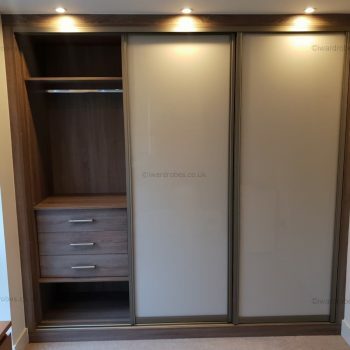 Our fitted sliding door wardrobes are always made-to-order and we offer our customer the opportunity to design those themselves. 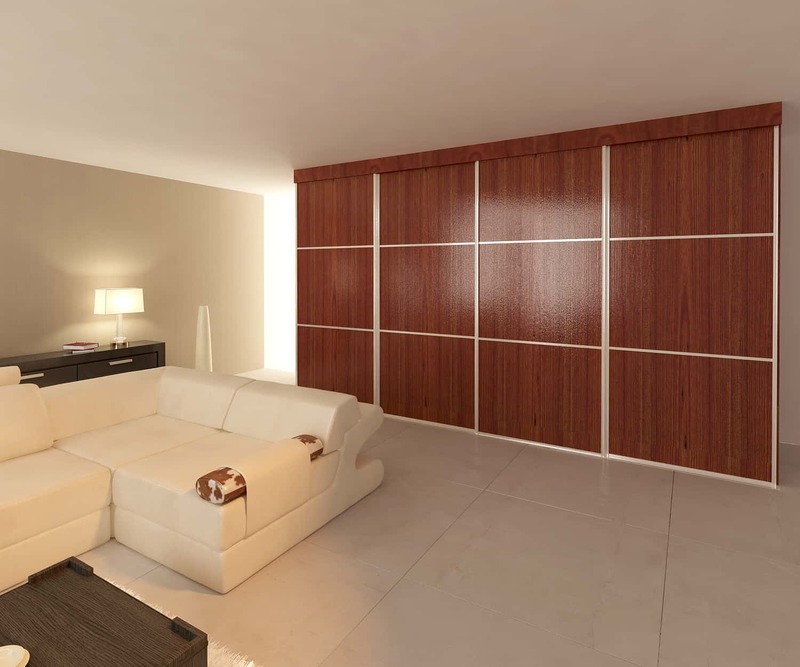 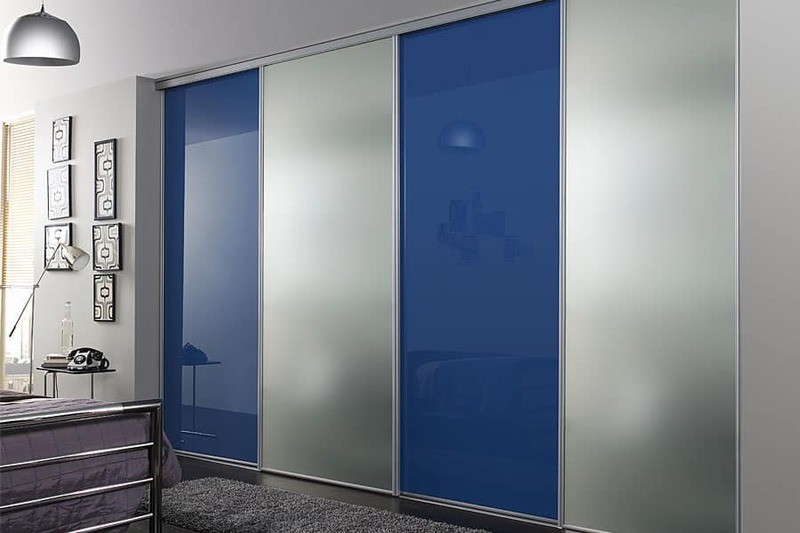 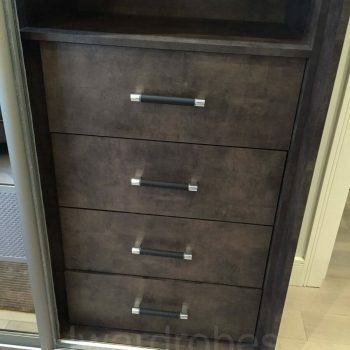 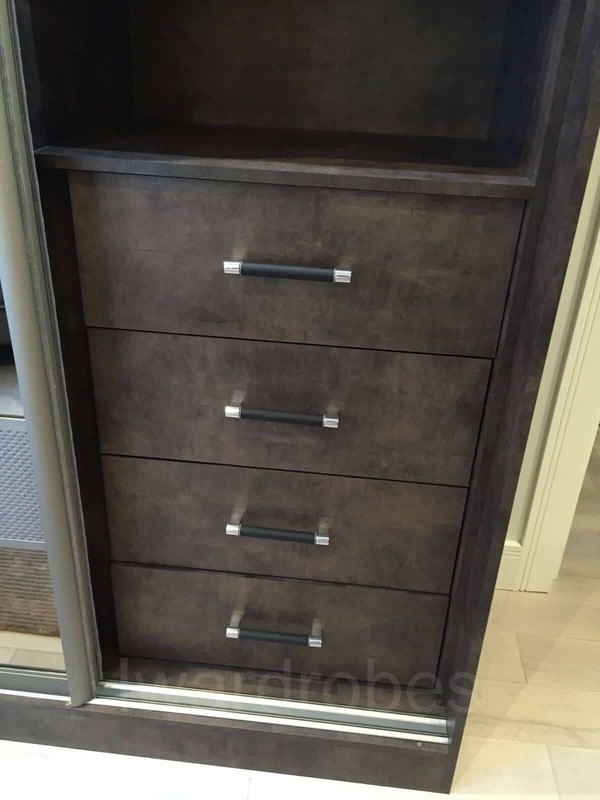 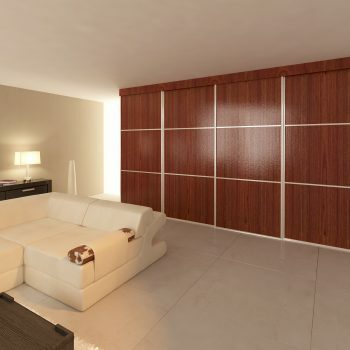 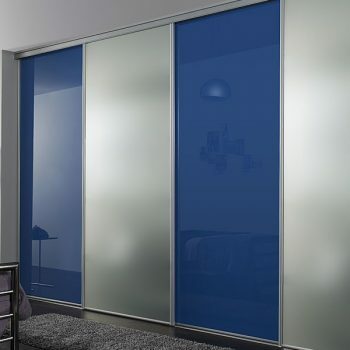 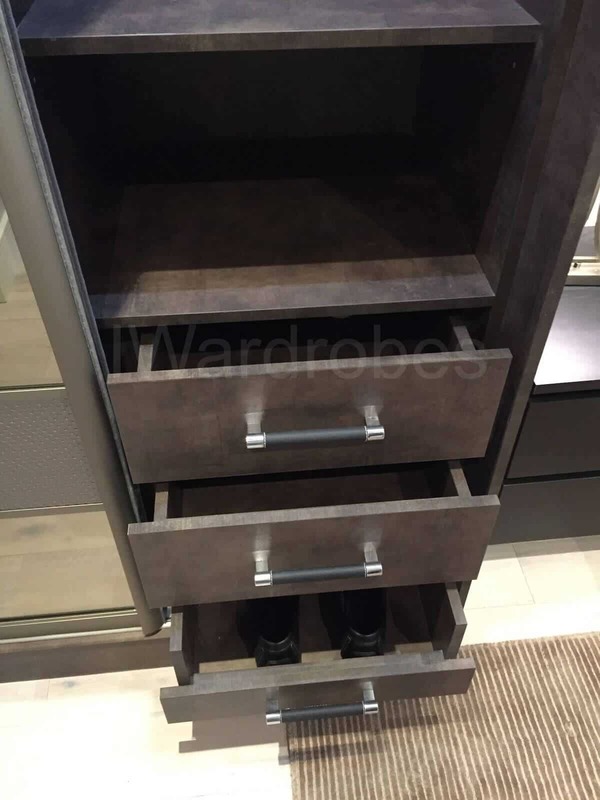 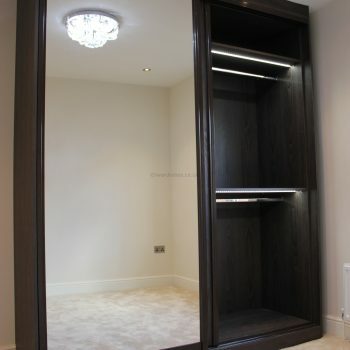 It is up to you to decide if you want mirror sliding wardrobe, faux or real leather features, matt of high gloss doors. 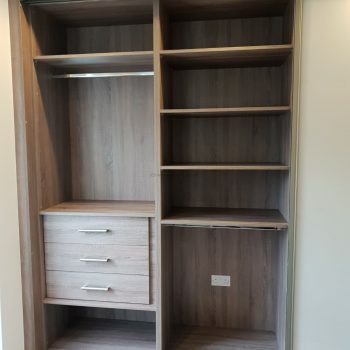 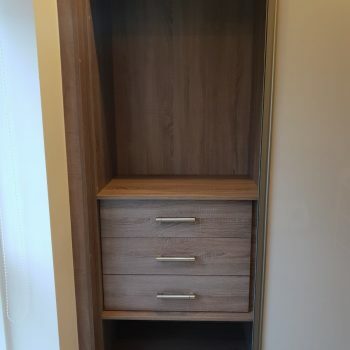 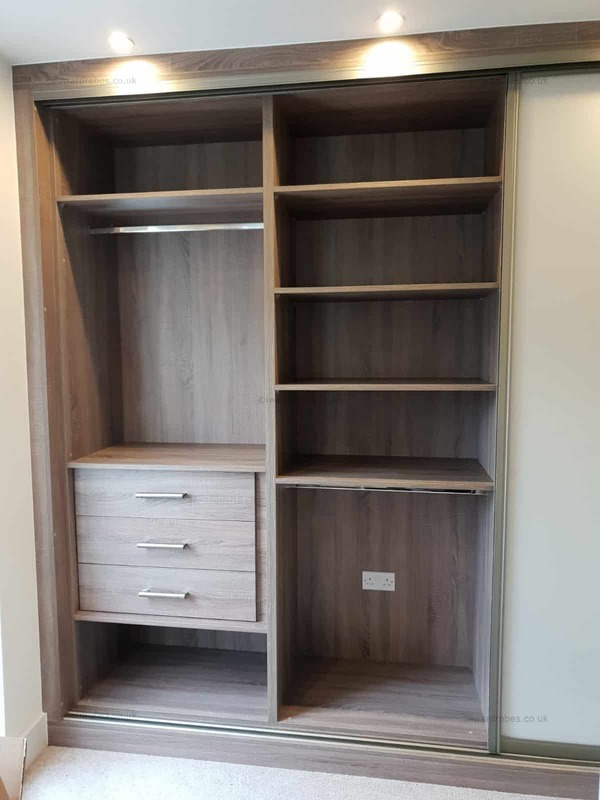 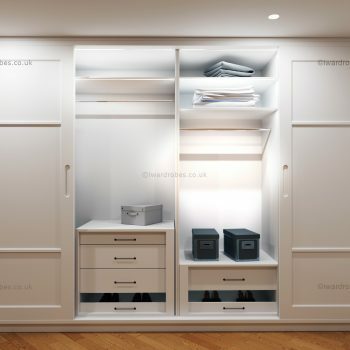 You can also add as many shoe shelves and accessory drawers as your space allows, or have an integrated desc or a book case, or even to have a fold out bed for your study to make it a guest bedroom when needed. 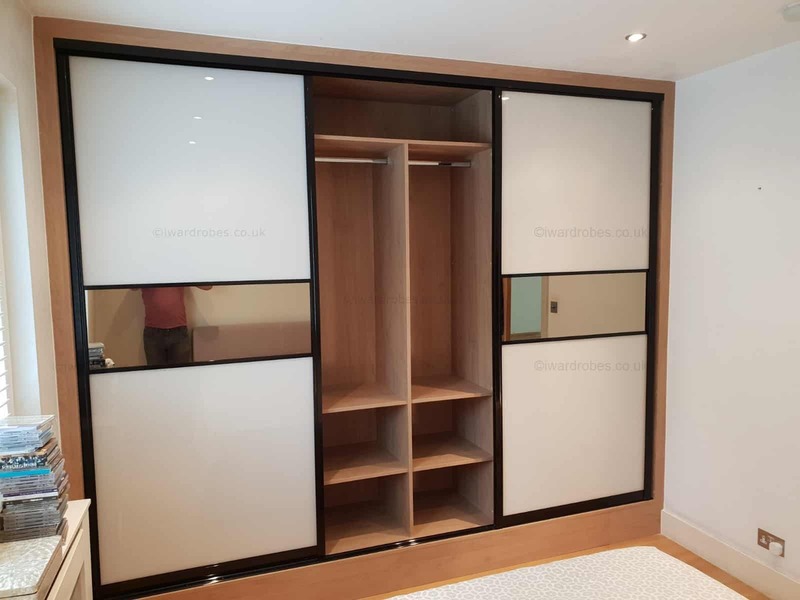 You can mix and match many materials, colours and structures, our team will be there for you to make your ideas into the reality. 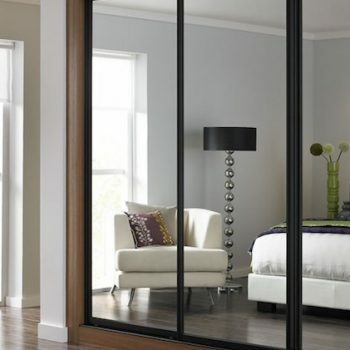 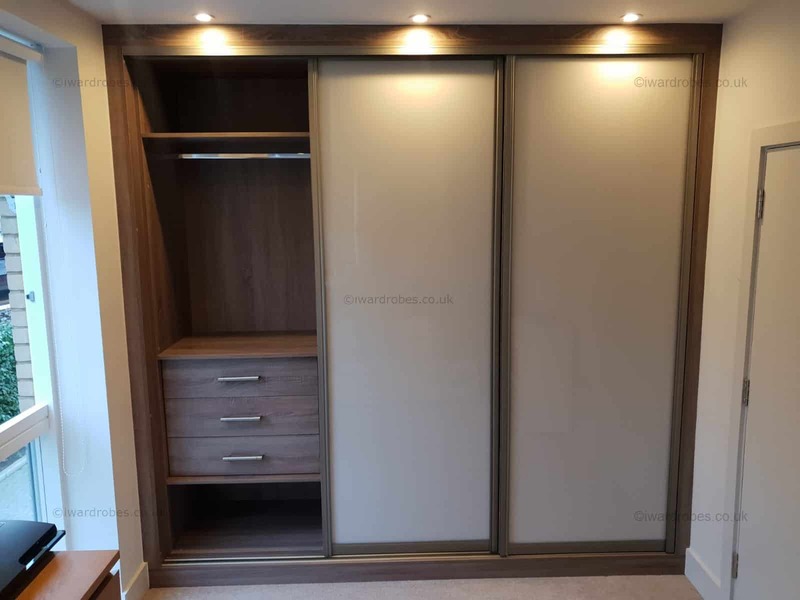 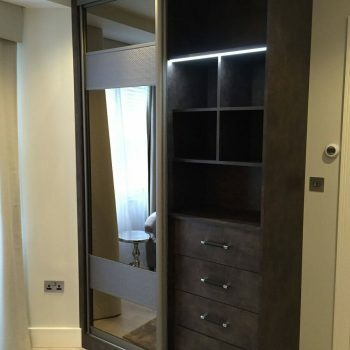 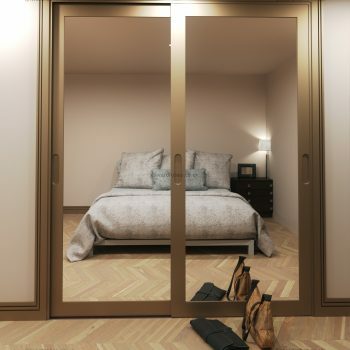 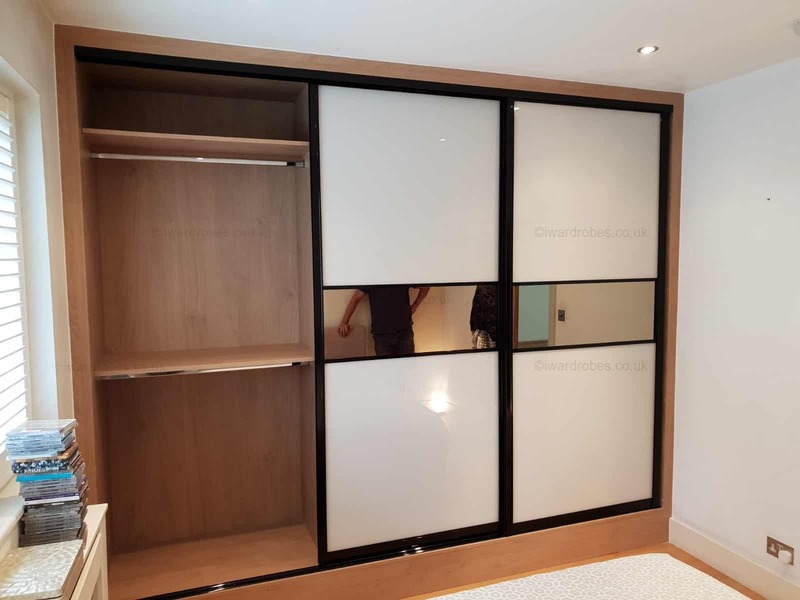 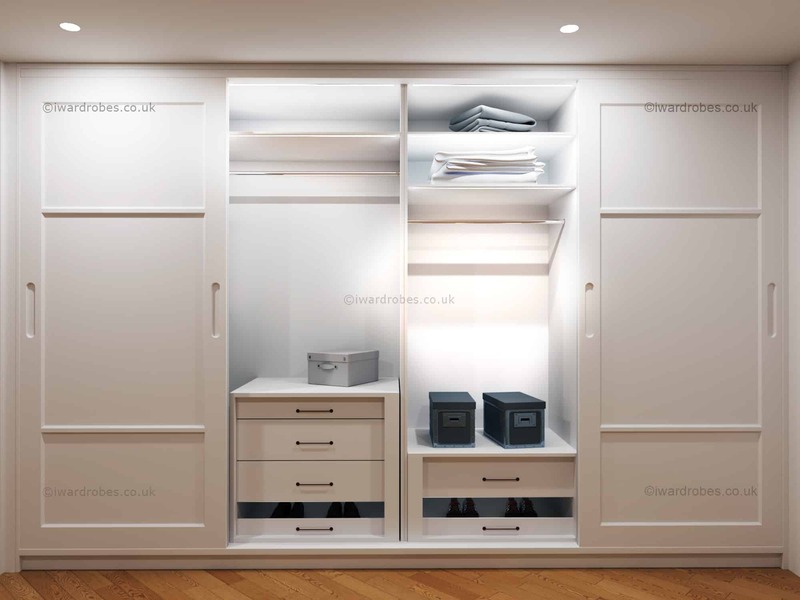 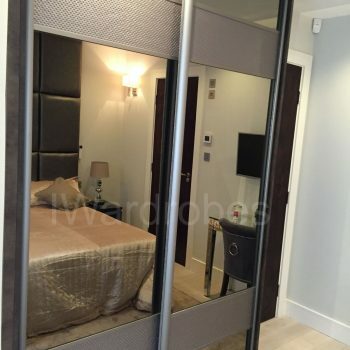 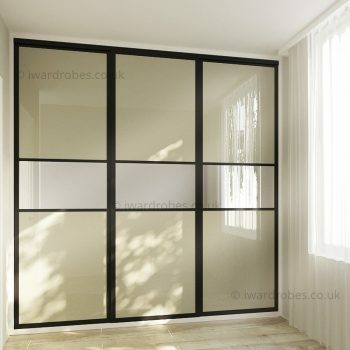 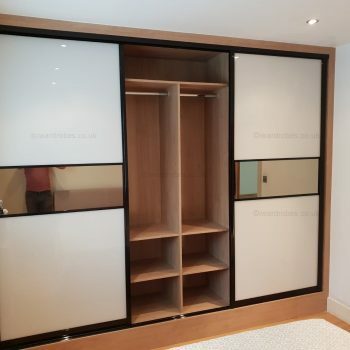 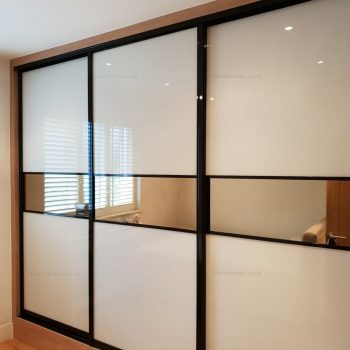 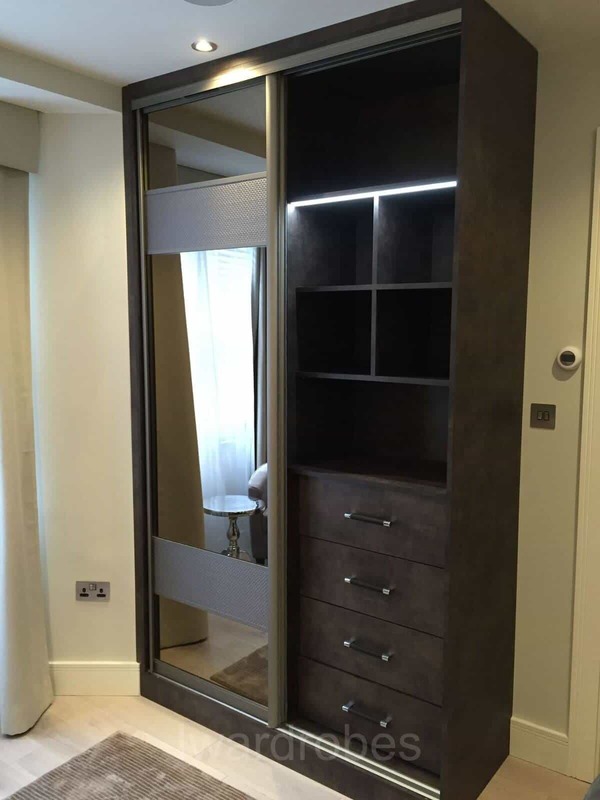 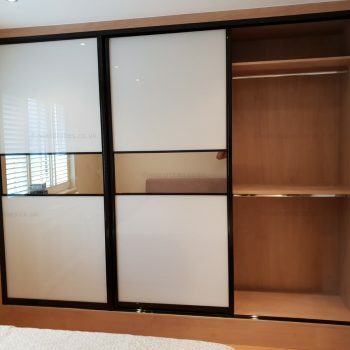 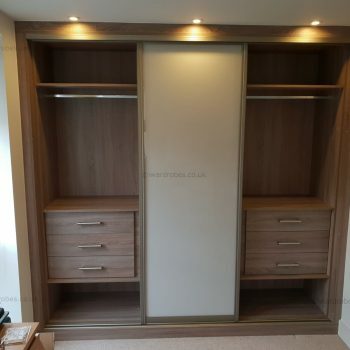 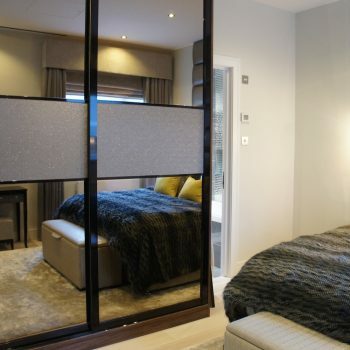 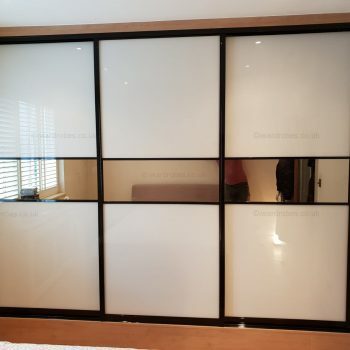 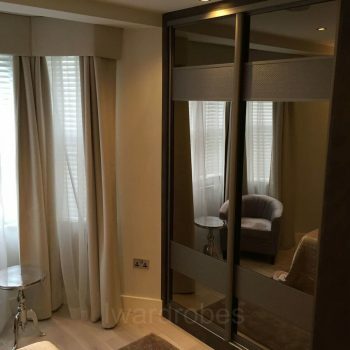 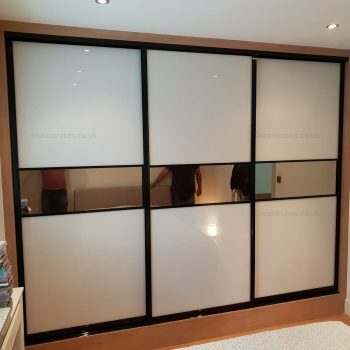 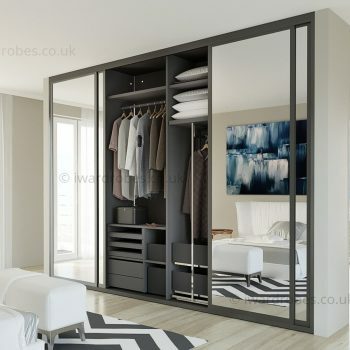 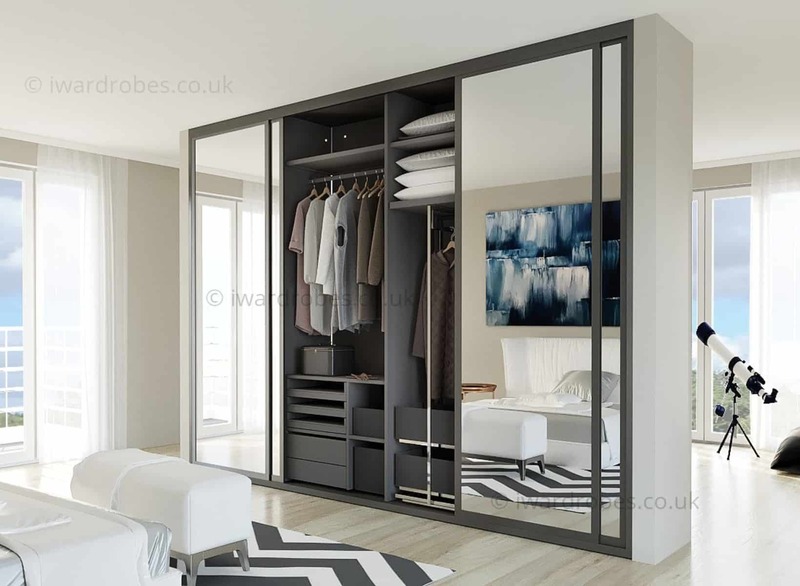 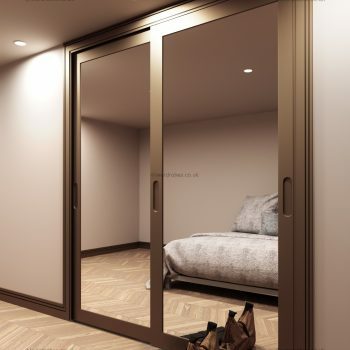 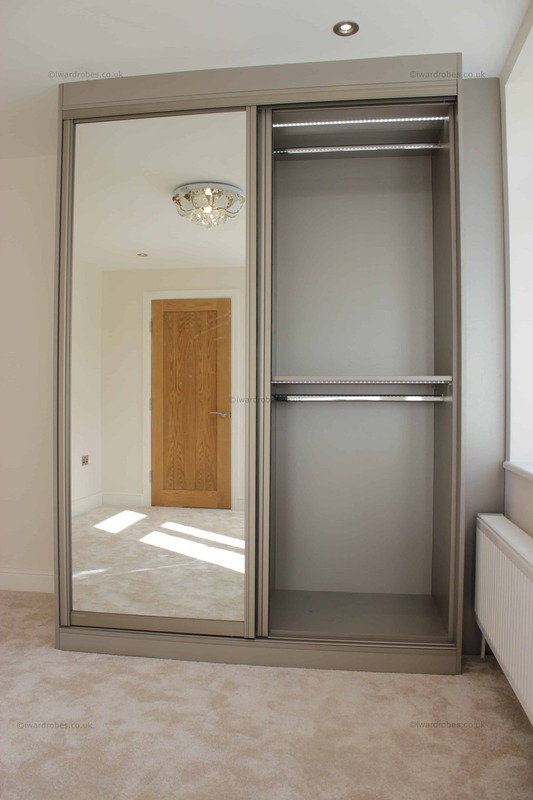 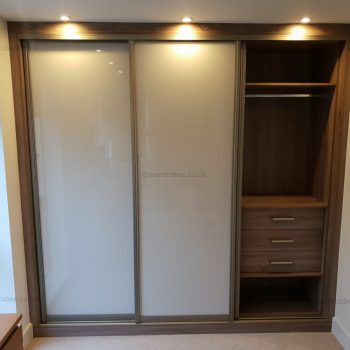 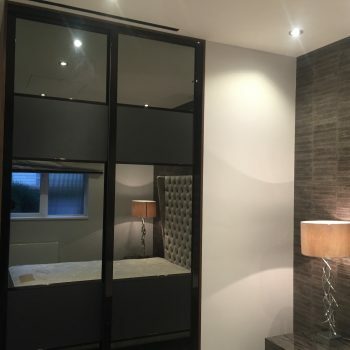 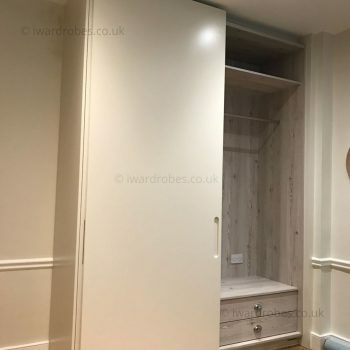 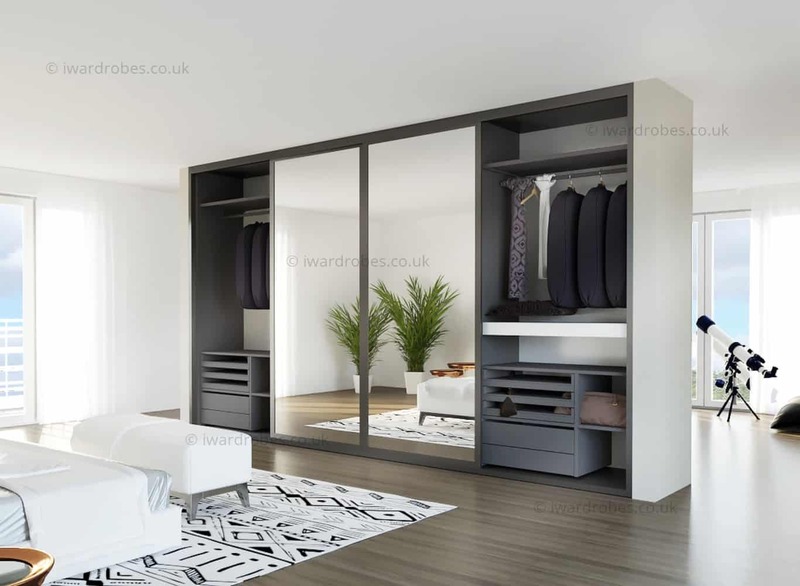 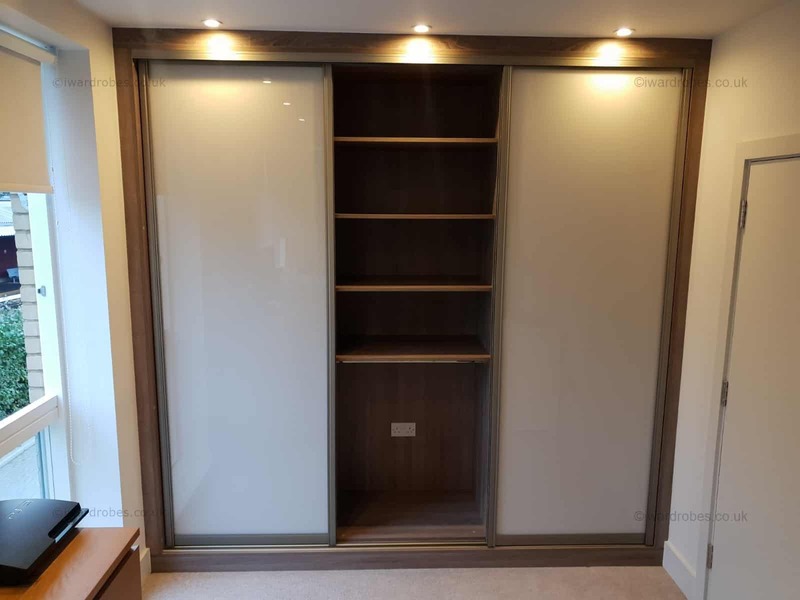 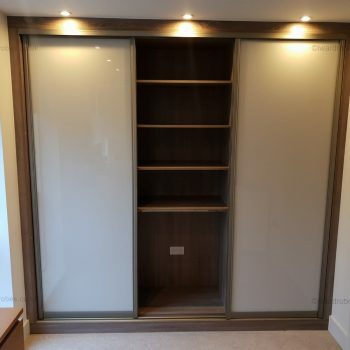 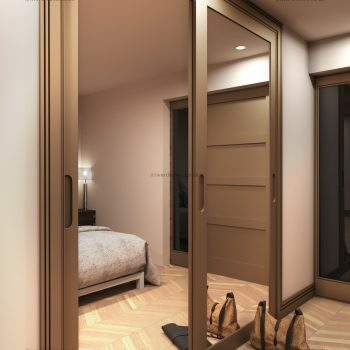 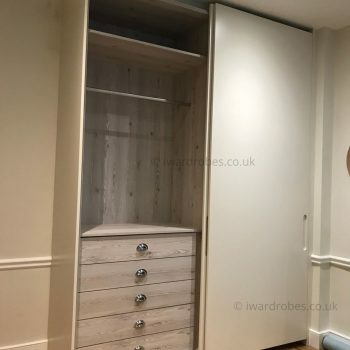 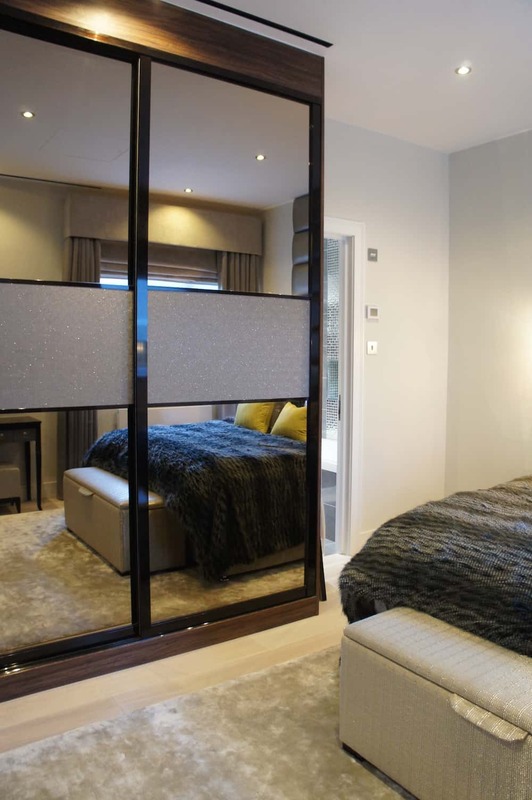 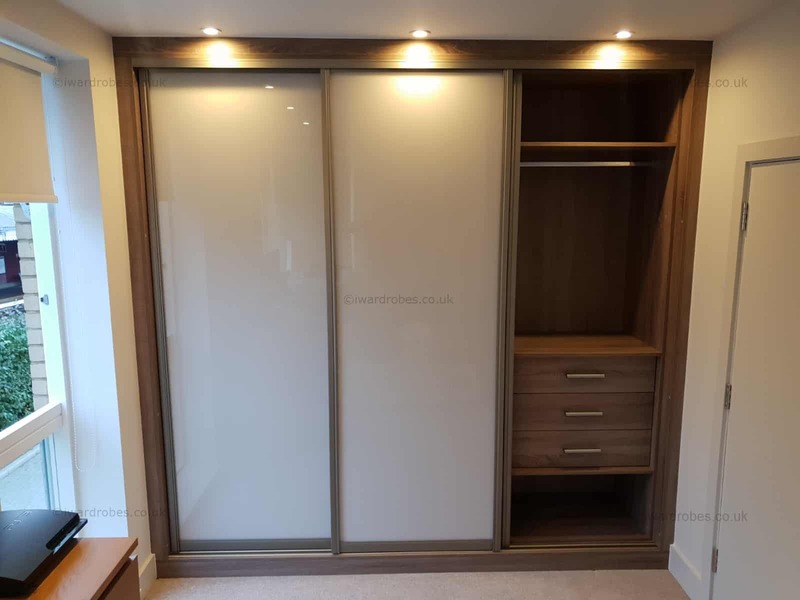 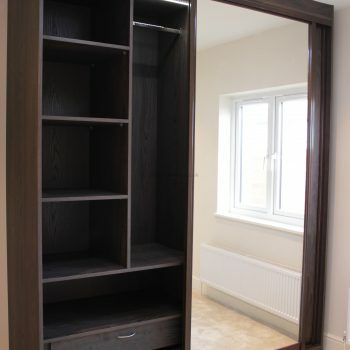 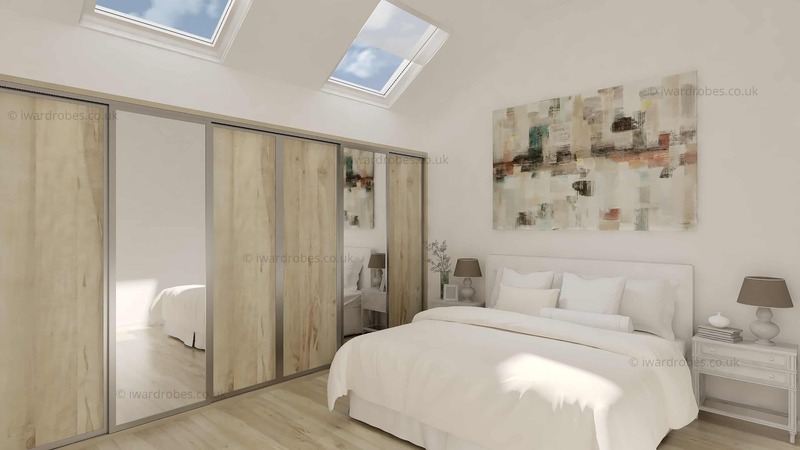 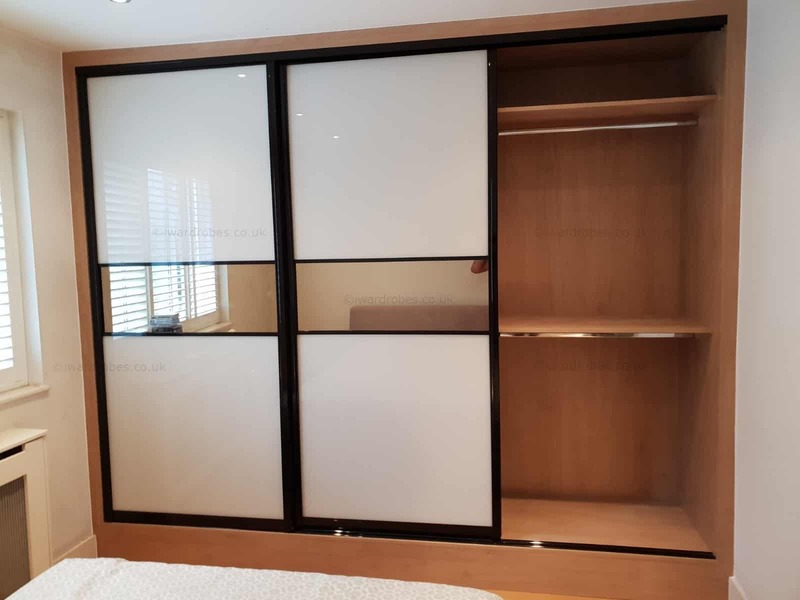 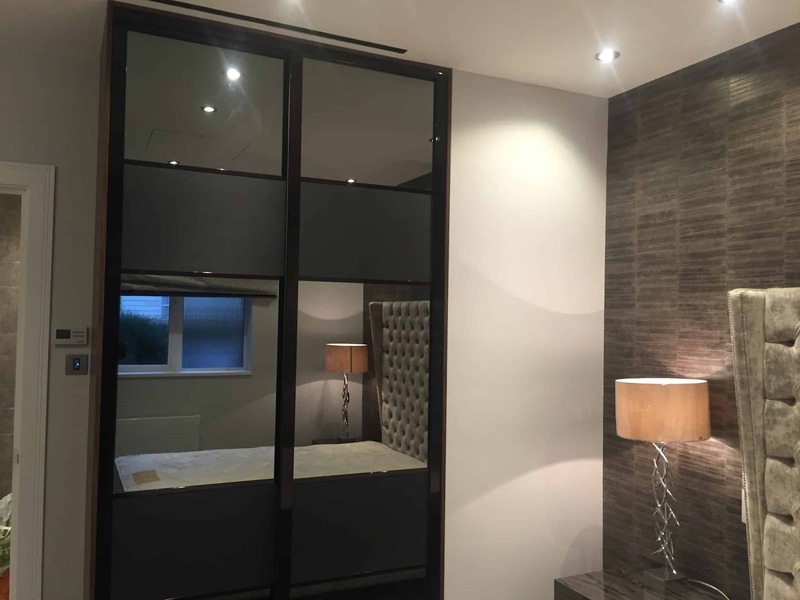 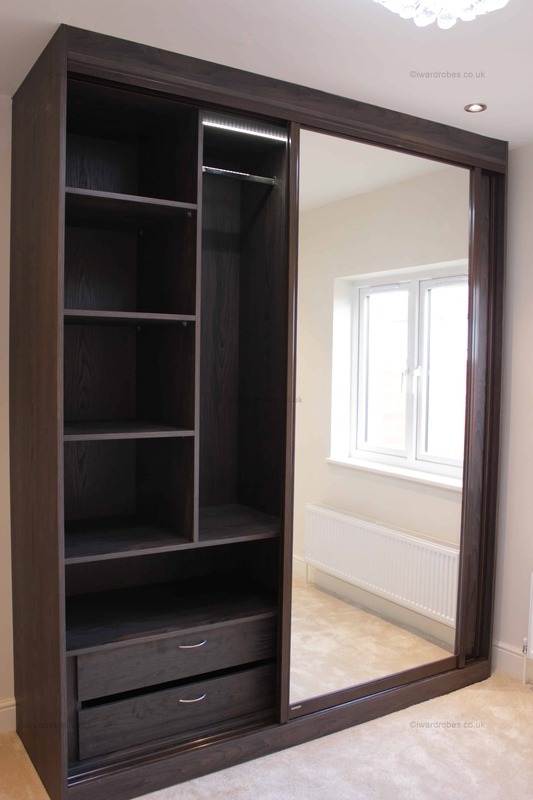 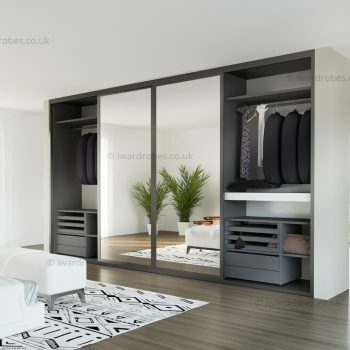 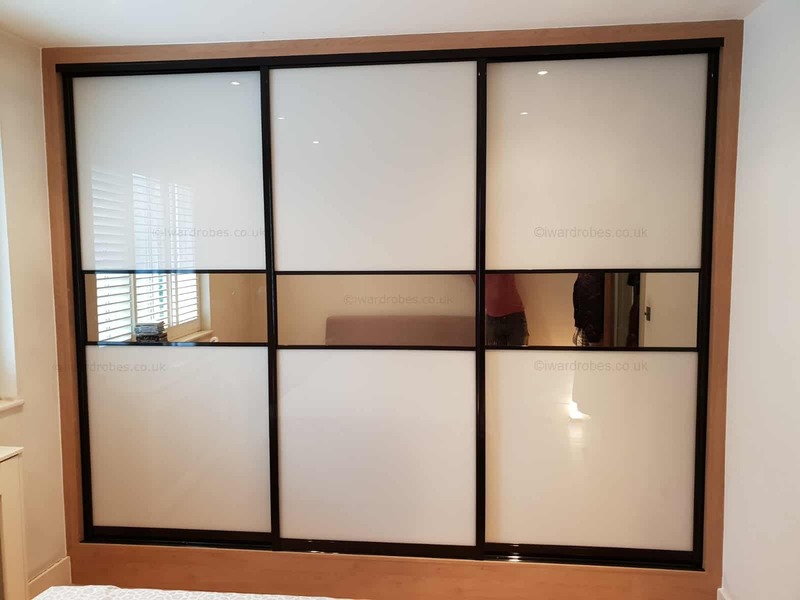 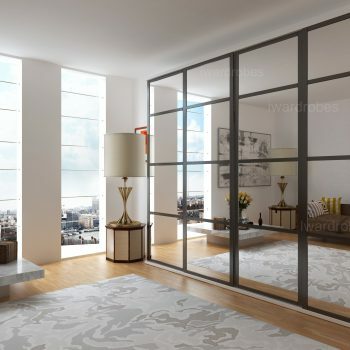 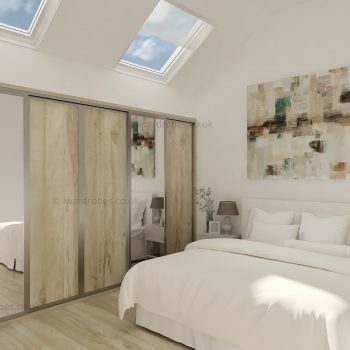 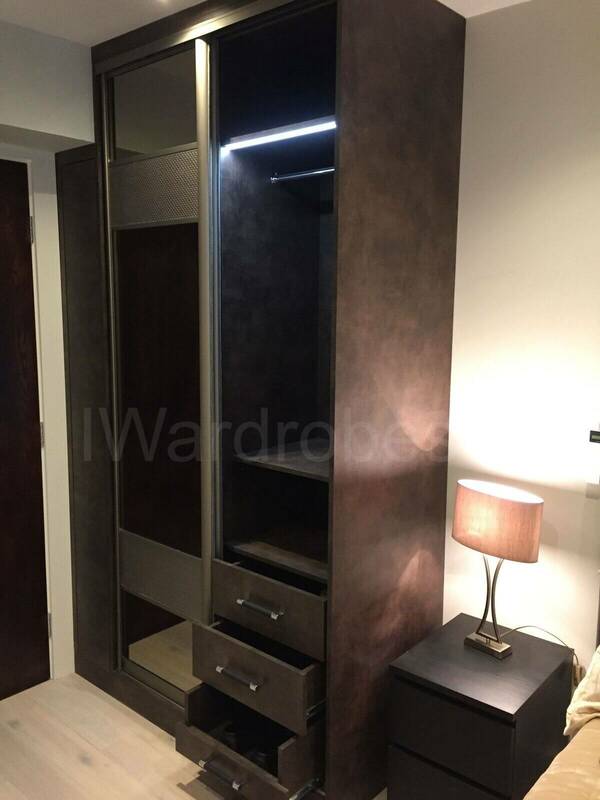 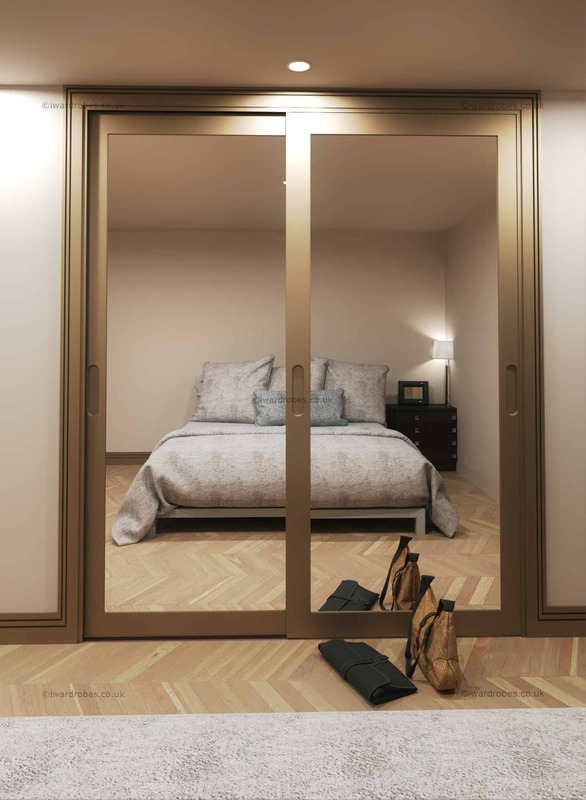 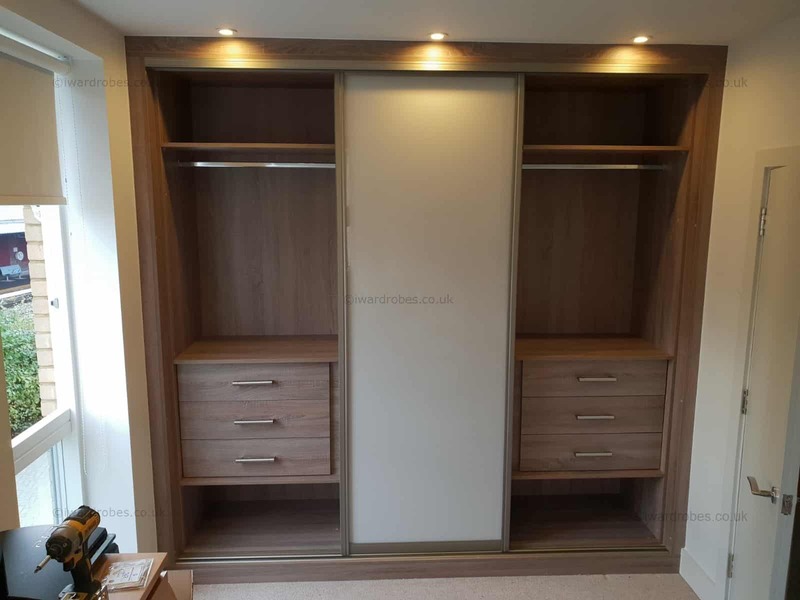 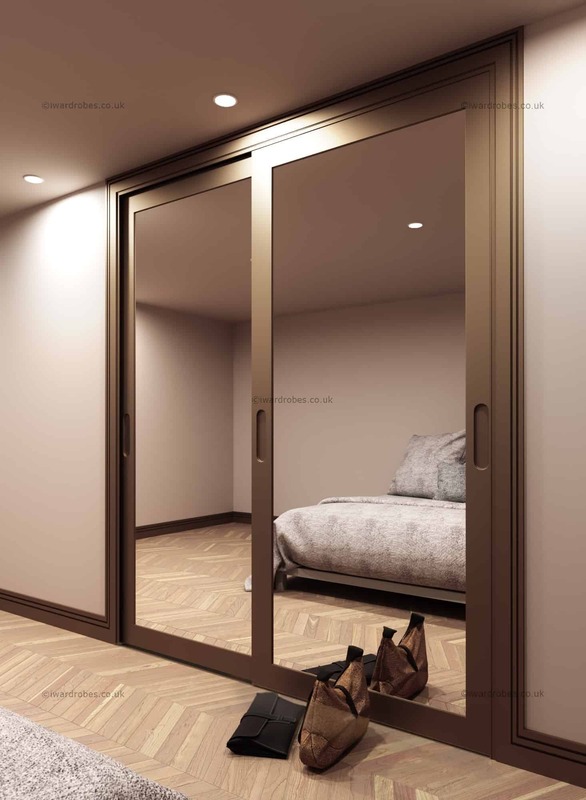 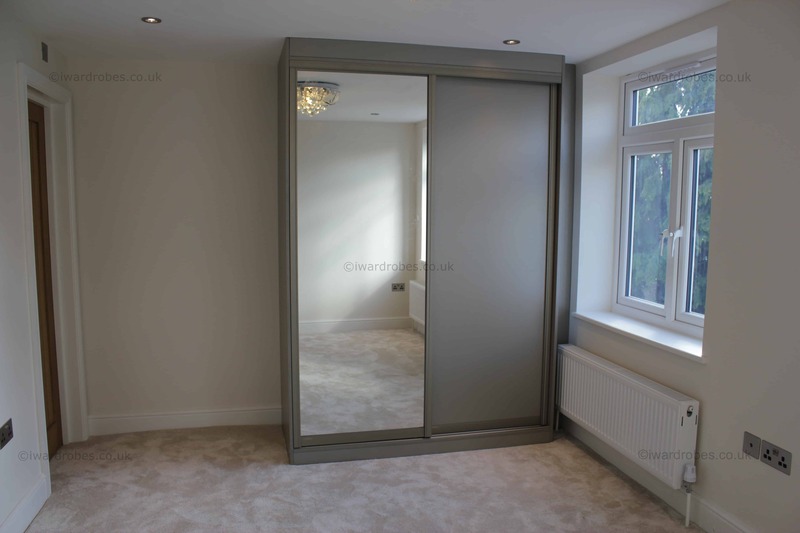 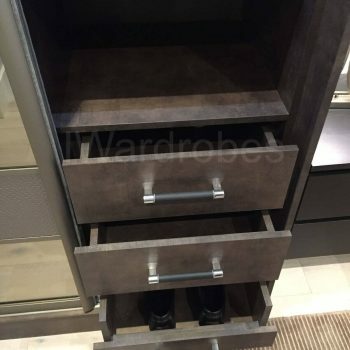 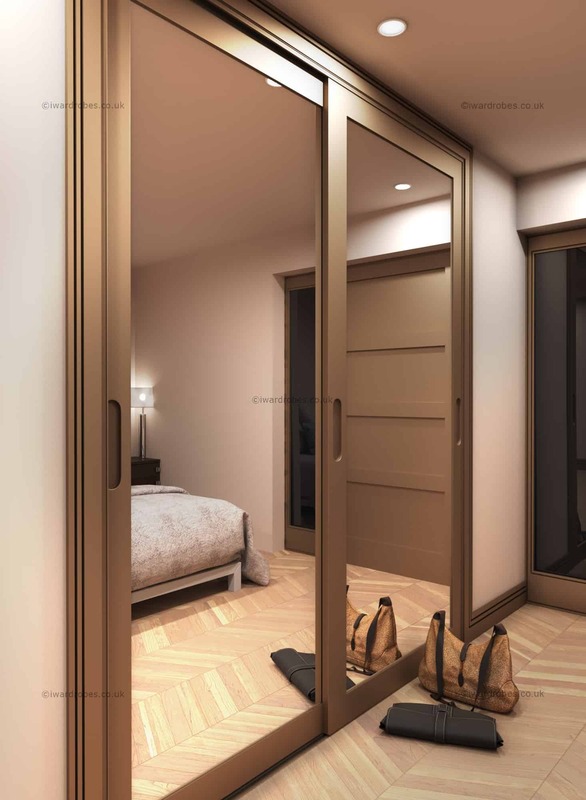 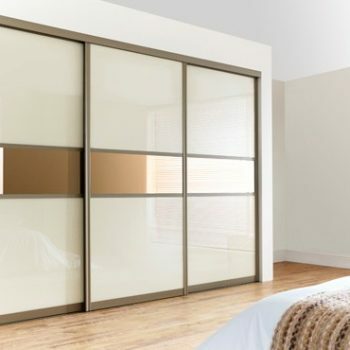 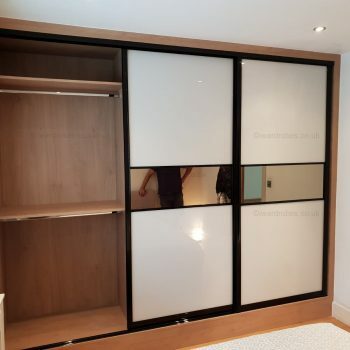 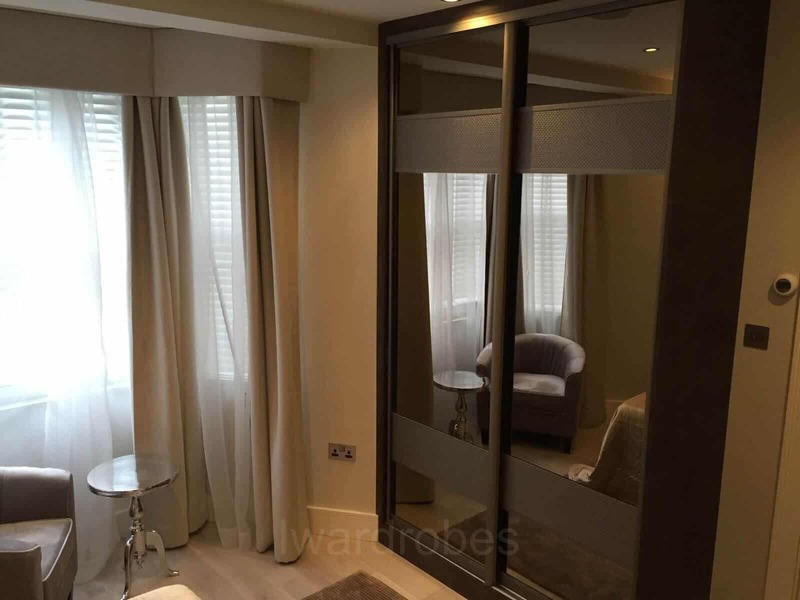 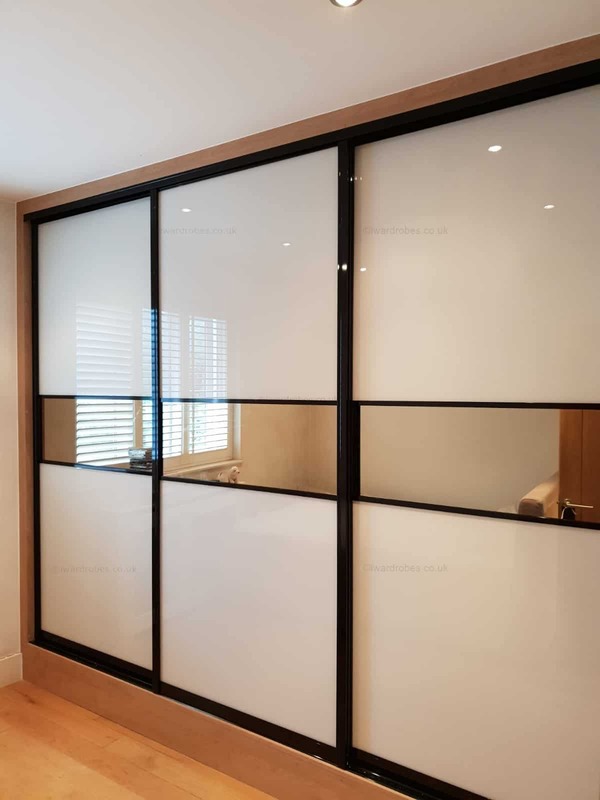 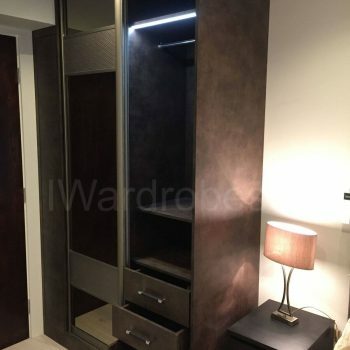 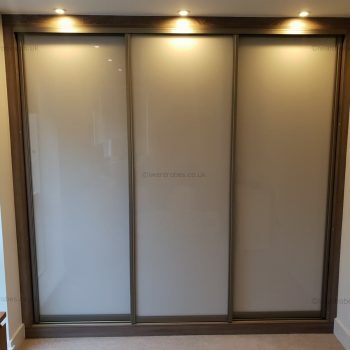 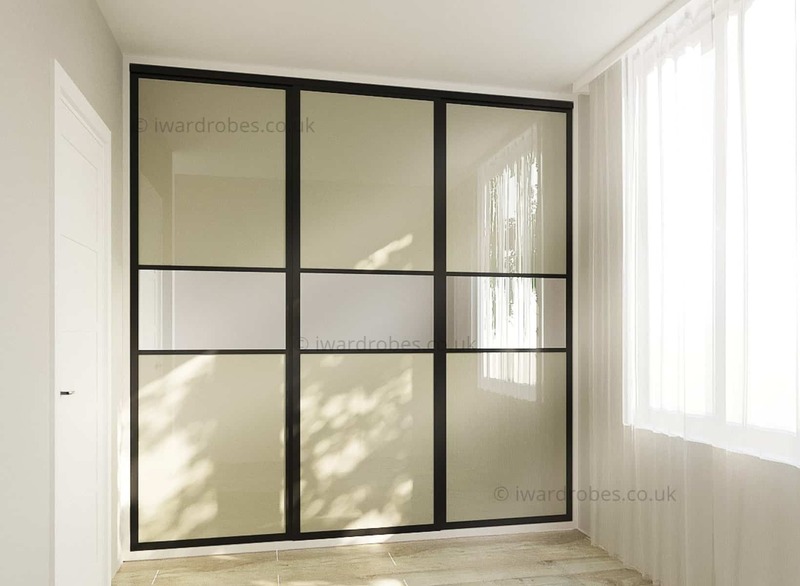 Bespoke mirror wardrobes are probably one of the most popular sliding door wardrobe options. 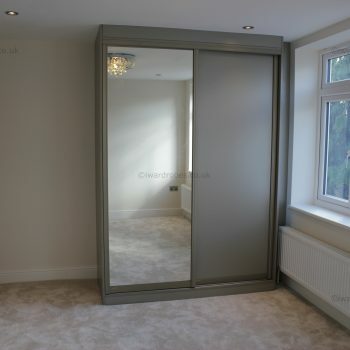 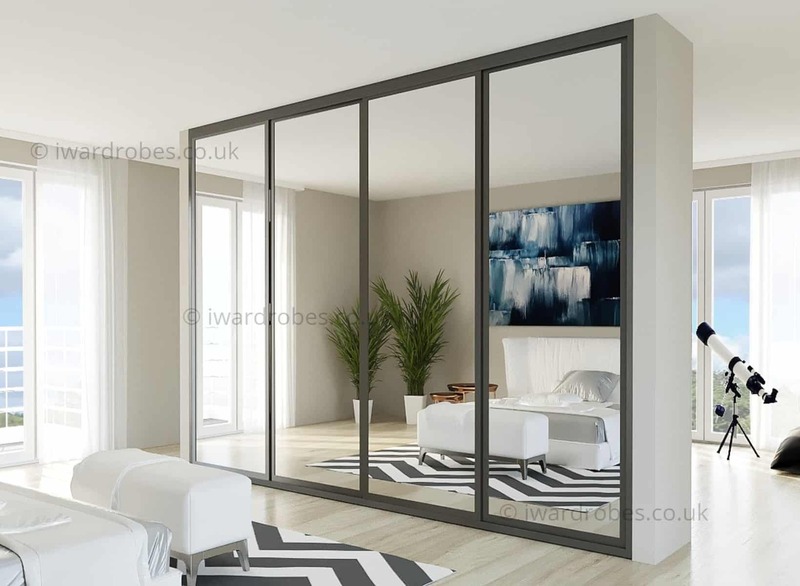 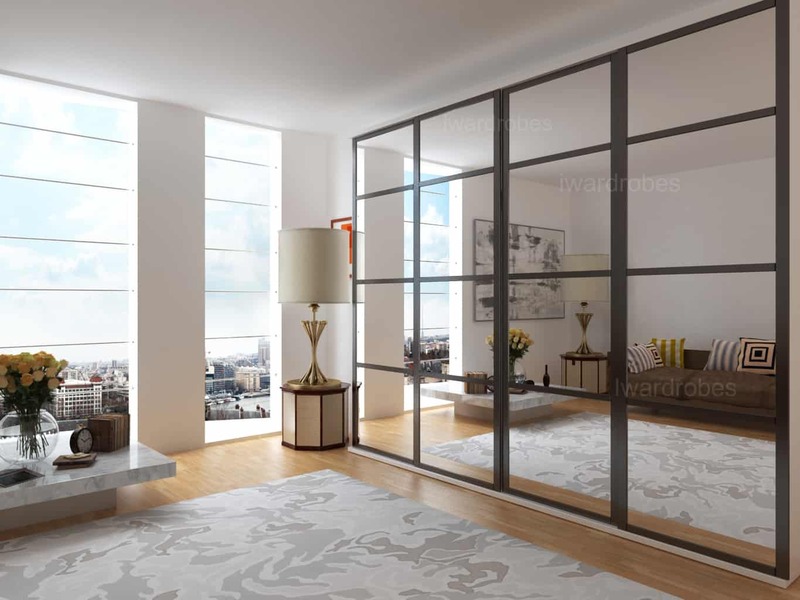 The mirror doors can help to make the room to look more spacious and lighter. 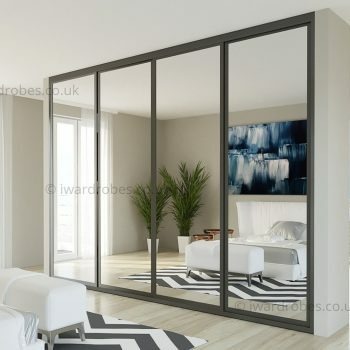 These also is a functional mirror and you do not need to buy one separately. 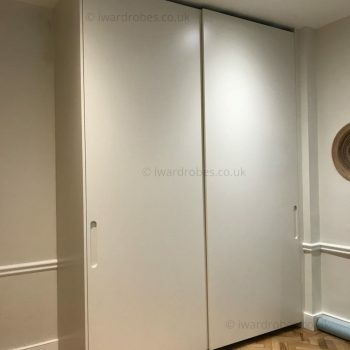 Like a sliding wardrobe quote? 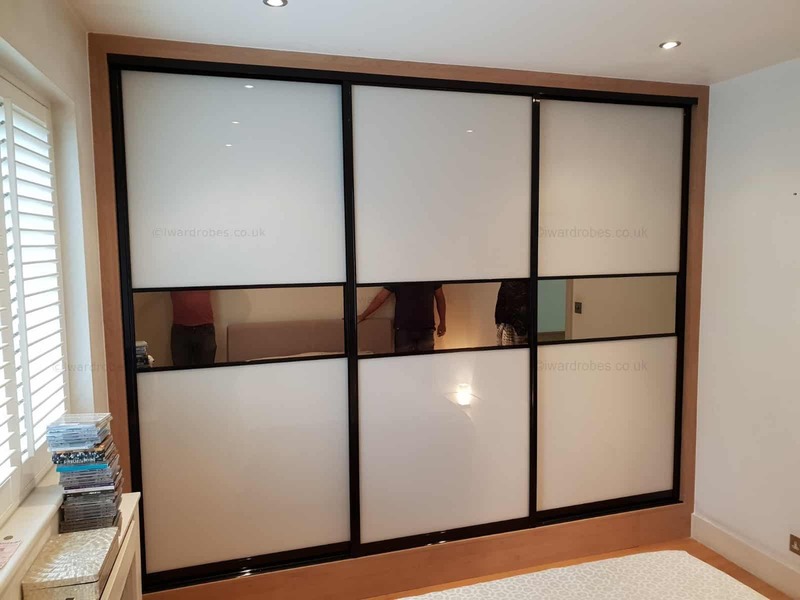 Call us 020 3561 0820 or leave your details below and we will come back to you!